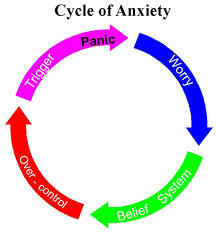 Anxiety is body’s way of dealing with stressful situations, threatening conditions. It is like an automatic alarm clock that goes on when you deal with any of these situations. In fact, anxiety can help you to react quickly, enhance your performance, make you commit fewer errors and motivate you to face ordeals. But when anxiety is overwhelming, it interferes with performance, activities, social interaction, makes you dysfunctional that is the time to seek help. This is when productive anxiety becomes an anxiety disorder. This entry was posted in Blog and tagged anxiety treatment in delhi, best anxiety treatment, cbt for anxiety in delhi, psychiatrist for anxiety treatment in delhi on July 24, 2014 by Tulasi Rehab. This entry was posted in Blog and tagged best treatment for schizophrenia in delhi, good treatment for schizophrenia, paranoid schizophrenia, rehabilitation centre for schizophrenia on July 24, 2014 by Tulasi Rehab. This entry was posted in Blog and tagged plain alcoholic on July 24, 2014 by Tulasi Rehab. 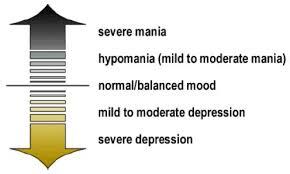 BIPOLAR DISORDER : WHY ME? I am Divya ,a 23 year old. My story was similar to any young adult till 2 years back when I was diagnosed as bipolar disorder or maniac depressive. This entry was posted in Blog and tagged best treatment for bipolar disorder in delhi, bipolar disorder, bipolar disorder treatment in delhi, india, rehabilitation of bipolar disorder in delhi, treatment of manic depressive disorder in delhi on July 24, 2014 by Tulasi Rehab. Vineet, a 35 year male was brought to Tulasi health care by his sister for treatment of paranoid schizophrenia, 6 months back. There was history of treatment in past but not on regular basis. He was actively hallucinating and delusional when he was brought to us. He was started on anti-psychotic medicines and gradually he started improving. 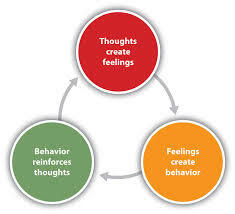 Cognitive behaviour therapy was initiated to counter his symptoms, slowly he started showing improvement. 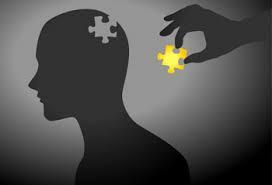 He developed insight about his problems and was able to identify his irrational thinking pattern. This entry was posted in Blog and tagged cbt for schizophrenia, paranoid schizophrenia, schizophrenia on July 24, 2014 by Tulasi Rehab. This entry was posted in Blog and tagged rehab centre for schizophrenia in delhi, rehabilitation centre in delhi for schizophrenia, schizophrenia rehabilitation centre in delhi, schizophrenia rehabilitation in delhi, schizophrenia treatment in delhi on July 20, 2014 by Tulasi Rehab. How to deal with a teenager with a drug abuse? Till about few years back Indian teenagers were a naive lot, living in the shadow of their parents but with the advent of western culture our teenagers our exposed to some goods and bad equally. In trying to look cool or under peer pressure our teens start experimenting with drug abuse and get trapped in the vicious cycle of addiction. It is difficult to identify these problems because of hormonal changes they are going through like they become moody, secretive, independent and do not want to be told what to do or not. This entry was posted in Blog and tagged drug de addiction treatment for teenagers in delhi, drug treatment for teenager in delhi, rehabilitation centre in delhi for teenager, teenage drug problem in delhi, teenager drug abuse in india on July 20, 2014 by Tulasi Rehab.